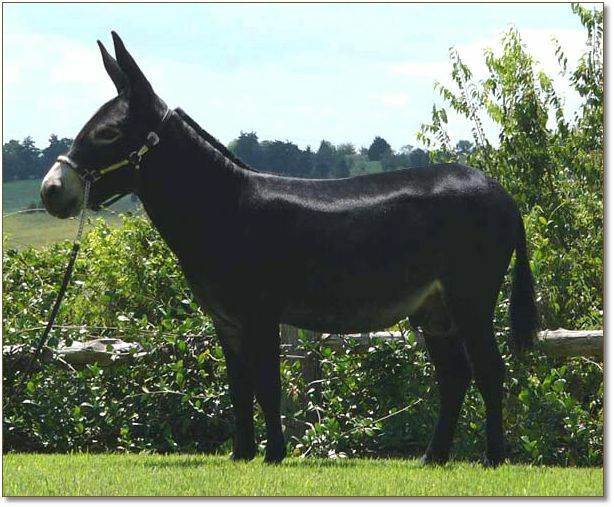 Now residing at Ponderosa Donkey Farm!! Our herd sires, Jet Pilot, Bronson, Main Event, and Pepi have produced many outstanding jennet offspring that would not be available to us from another breeder. If retained, these jennets could not be bred to any of our jacks. After searching far and wide for an exceptional black jack with a pedigree unrelated to any of our stock, Itsy Bitsy Burro Company Miniature Donkeys purchased Sunset Acres Smart Derby in May 2005. 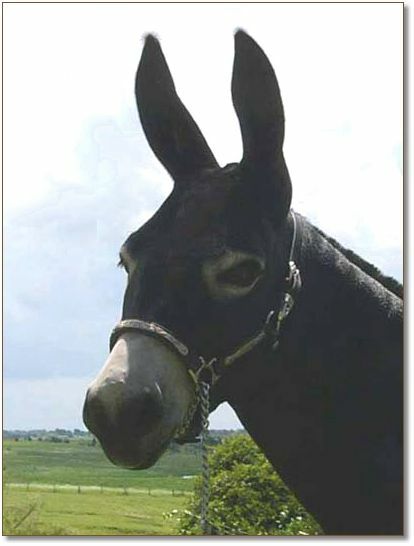 With the addition of Derby to our breeding program, we are able to retain any of our jennets and breed them to him. Smart Derby moved to Texas the middle of May 2005 from Nebraska. His first show was in July 2005 in Shelbyville, Tennessee where he placed 3rd in the Yearling Jack Class. We showed him next in August 2005 in Conroe, Texas at our first two judge NMDA show. Both judges confirmed our opinion of Derby's outstanding qualities. He is now one of our CHAMPION HERD SIRES! Smart Derby won 1st Place Yearling Jack under both Judge Larry Parnell and Judge Sami Scheuring. Derby was then awarded NMDA Junior Champion Jack by both judges at the NMDA Lone Star State of Stars Miniature Donkey Show in Conroe, Texas, August 2005. Smart Derby won 2nd Place Yearling Jack at the 2005 Texas State Fair NMDA Show. 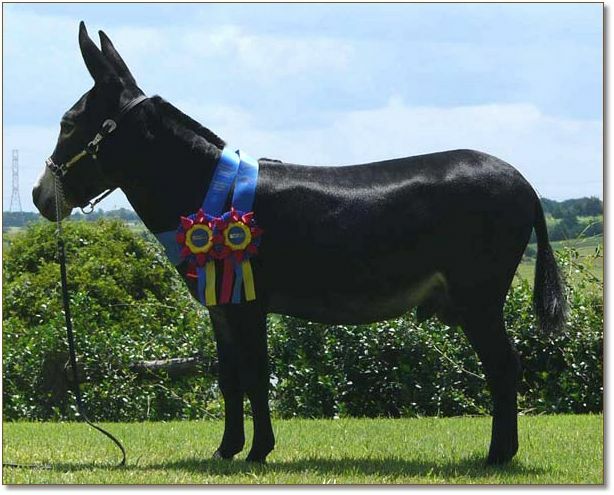 Smart Derby won 1st Place Jack and Grand Champion Model Miniature Donkey at the Houston Livestock Show March 2006. 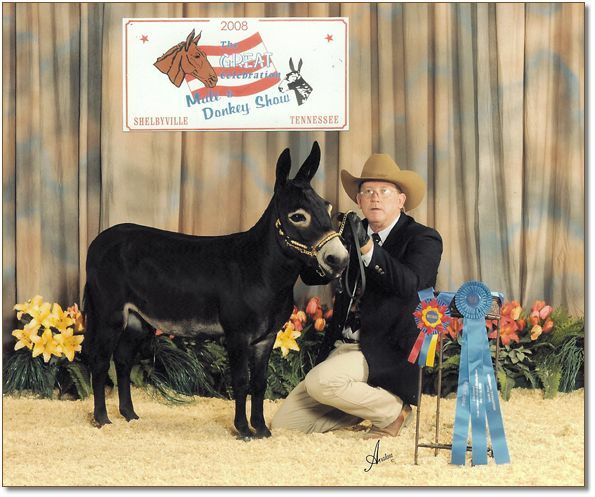 Smart Derby won 1st Place Jack and Grand Champion Jack at the Texas Championship Miniature Donkey Show May 2006. 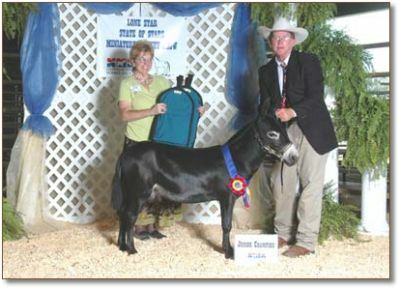 Smart Derby won 2006 Grand Champion Jack and Best of Breed at the NMDA National Show, Shelbyville, Tennessee. Smart Derby won 1st Place 3 Years & Over Jack and Grand Champion Jack 2007 Fort Worth Livestock Show. Smart Derby returned to the Houston Livestock Show March 2007 and won 1st Place Jack and Grand Champion Model Donkey. 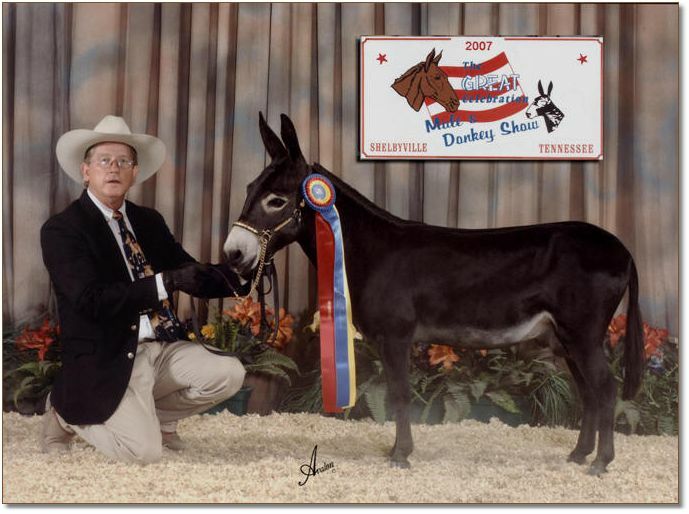 Smart Derby won 2007 Grand Champion Jack and Best of Breed at the NMDA Show, Shelbyville, Tennessee. 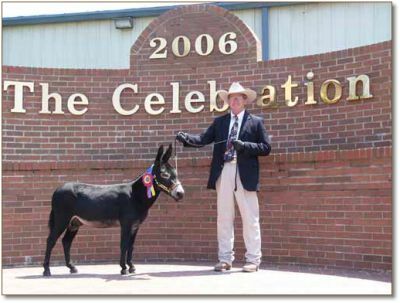 Smart Derby won 2008 Grand Champion Jack at The Great Celebration Mule & Donkey NMDA Show in Shelbyville, Tennessee. Sunset Acres Smart Derby has proven himself to be an outstanding jack. His first foals arrived spring 2007. Every foal has his showy "heads up" personality and conformation to the standards set by ADMS. Derby is proving his excellence in the pasture as well as the show ring.